New edition 2010; first published 1997. A continuing bestseller and comfort to countless readers, this may be one of the most compassionate, inspiring and supportive books you will ever read. It is also Stephanie Dowrick’s own personal favourite, written in a time of great bleakness that emerged into new levels of understanding and appreciation of life itself. 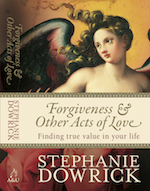 Here, Stephanie Dowrick re-examines for a contemporary audience the six universal humane virtues: courage, fidelity, restraint, generosity, tolerance and forgiveness. At a time when most belief systems seem exhausted or irrelevant, she shows how these qualities have immensely far-reaching personal, spiritual and social benefits. 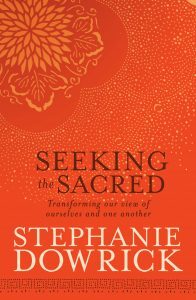 Moving with ease from the most profound considerations of life’s ultimate meaning to diverse, memorable stories of everyday living, Stephanie Dowrick gives us the most precious gift of all: the opportunity to claim courage, hope and connection in our lives.